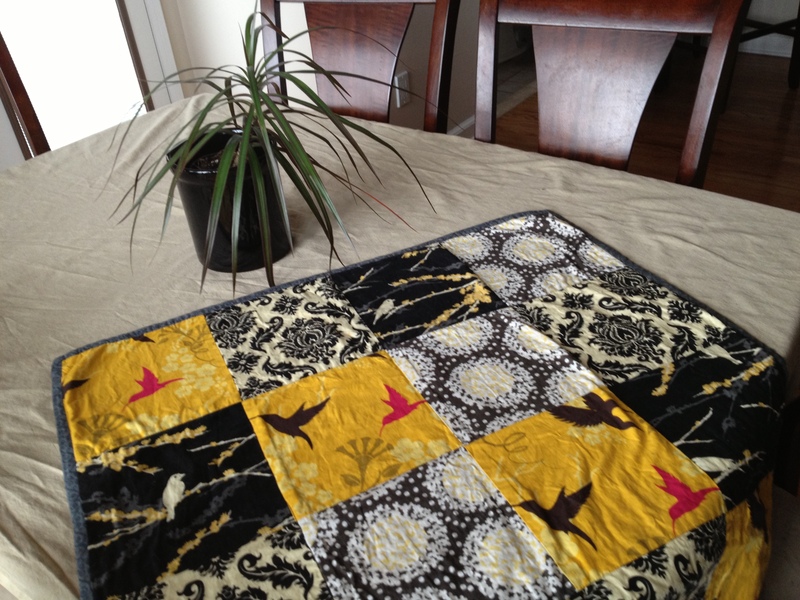 The first quilt you make should be made with fabric you love. It should be full of very valuable mistakes (that only you can see). It shouldn’t be too big. It is your learning quilt. It will be one of your favorites. I studied some patterns before starting my first quilt, but doing is so very different. For me, doing is learning. I chose four fat quarters and cut four nine-inch squares with scissors. I pieced the back with the remaining scraps of fabric. 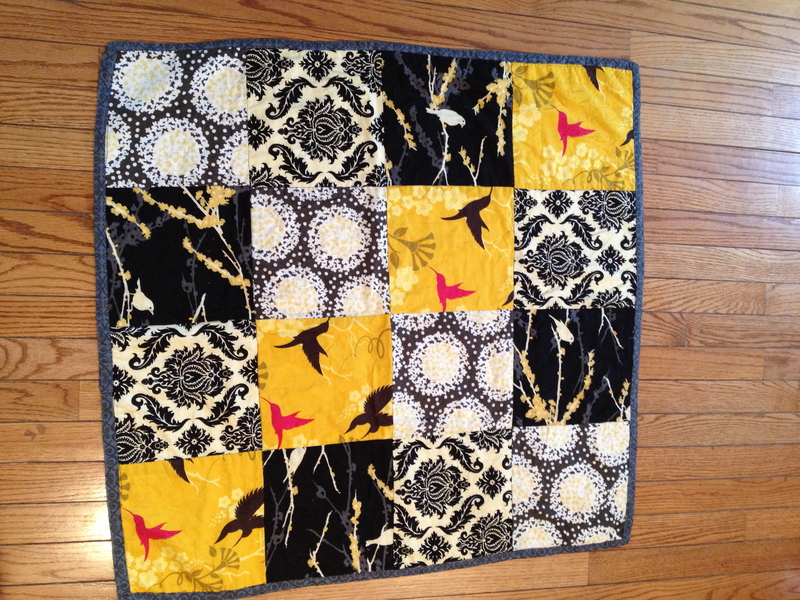 I loved the fabric so much that I didn’t want to quilt over it. I stitched in the ditch as little as possible, and sloppily. I misunderstood the instructions for binding, so the binding is ginormous, and so are the hand stitches that attach them to the back. It’s not square. I couldn’t care less. It’s not even big enough to cover my lap but it’s my favorite. Once it was done, I knew I had to do it again. And again. And I did. I was hooked. The best thing of all is that I get to teach everything I learned from my mistakes. And more. Yes, that’s right! It’s time! Sign up is officially open for my class at Rock Paper Scissors. Over four weeks, students will make their own first quilt, learning everything from cutting to arranging to piecing, quilting and binding. We’re going to use charm packs and yardage to make a 36″x 36″ quilt in one of three designs using the techniques I used to made Bluescape. Head over to the RPS class site to read more and learn how to sign up. Classes are Monday nights starting April 29. I am so excited to help some new quilters make their first quilts. I hope you can join us!